Arts, learning, partnership. Innovative creative producer of arts and science collaborations in the heart of the NHS. 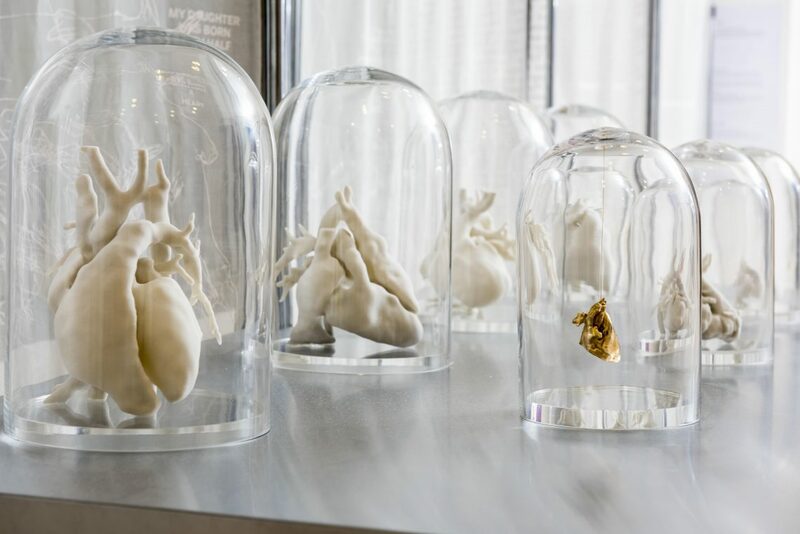 The Heart of the Matter is an exhibition that brings together art and medicine to reflect on the human heart. 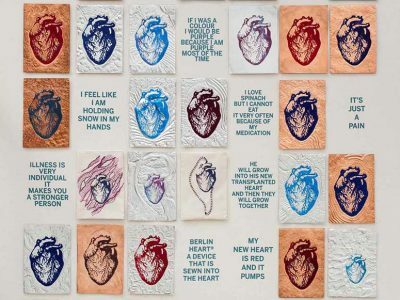 Through artworks inspired by patients with heart conditions, their families and clinicians, the exhibition invites you to discover the extraordinary nature and complexity of this organ. 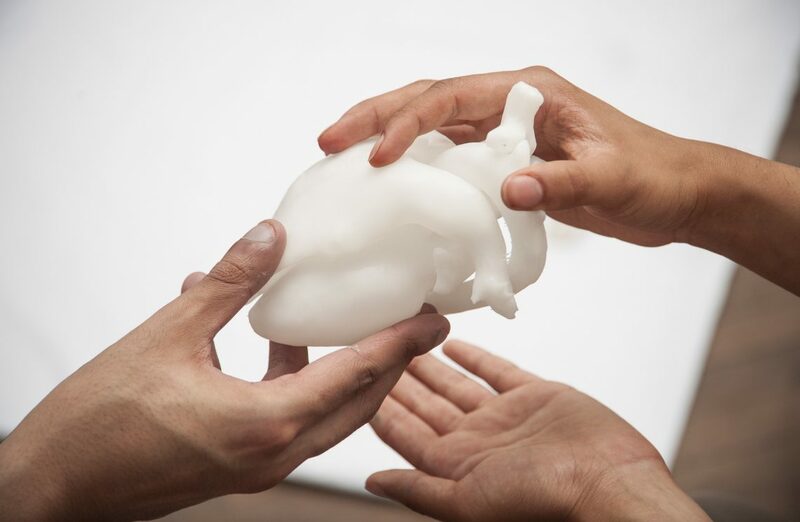 The Heart of the Matter was conceived by artist Sofie Layton and bioengineer Giovanni Biglino, and developed with health psychologist Jo Wray. 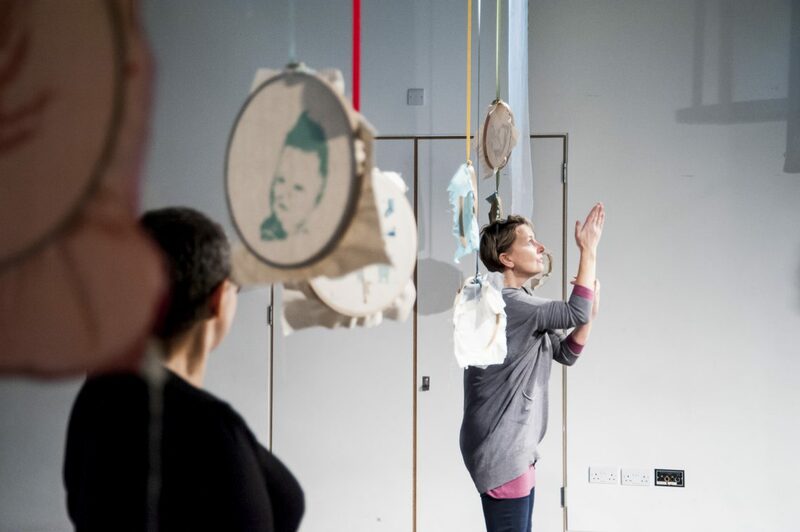 Sound and visual arts residency with staff and families attending the Neo Natal Intensive Care Unit at Evelina London Children’s Hospital. Artist Sofie Layton. The Heart of the Matter is a fantastic thought-provoking territory. The combination of science and humanism, the scientific and the human side, makes for a unique experience. Rich and beautiful. A celebration of medicine, technology and life! Anna Ledgard is a producer, project manager, researcher, lecturer and professional development leader with 30 years’ experience shaping collaborative arts practice with hospitals, communities, schools and cultural organisations. 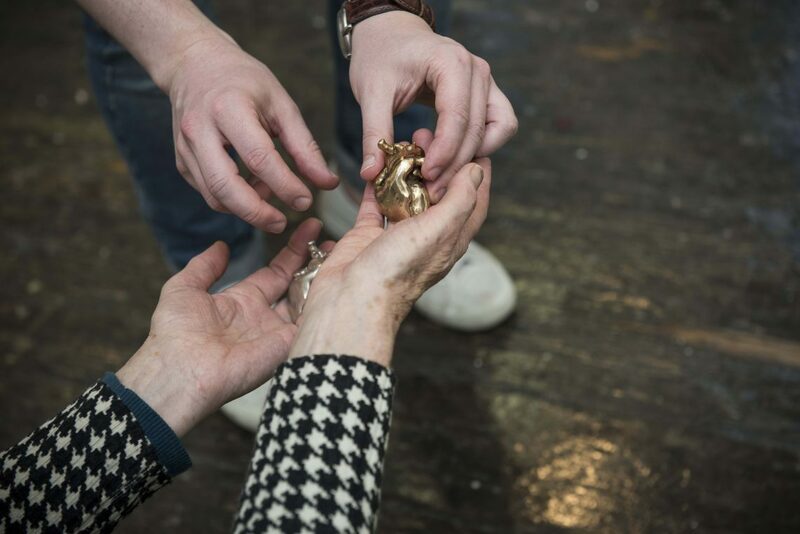 She is a regular evaluator of arts/science collaborations and a professional development leader specialising in collaborative arts practices in hospitals and at the end of life. Anna works as a trainer with LWDW which supports people from all walks of life to become more informed and confident about how we manage death and dying in our communities, recognising it as a natural and normal part of living. 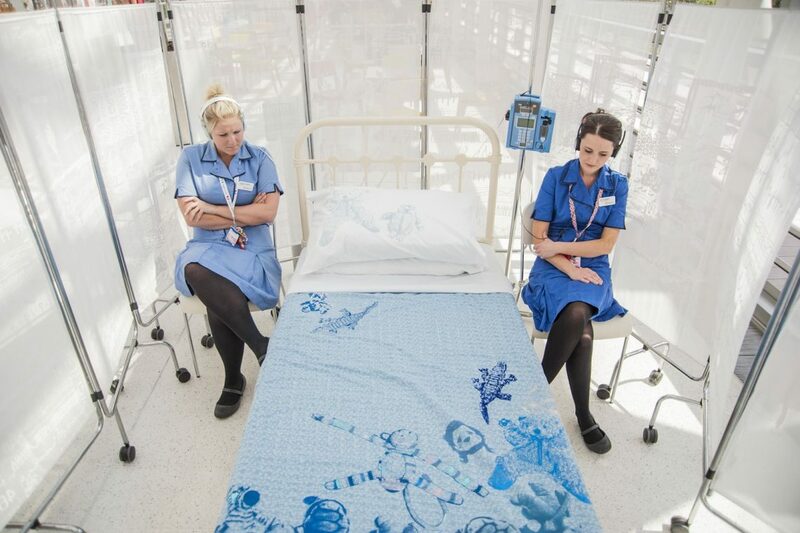 Anna is interested in the vital role that artists can play when working in close participation with patients, medical staff and hospital communities. 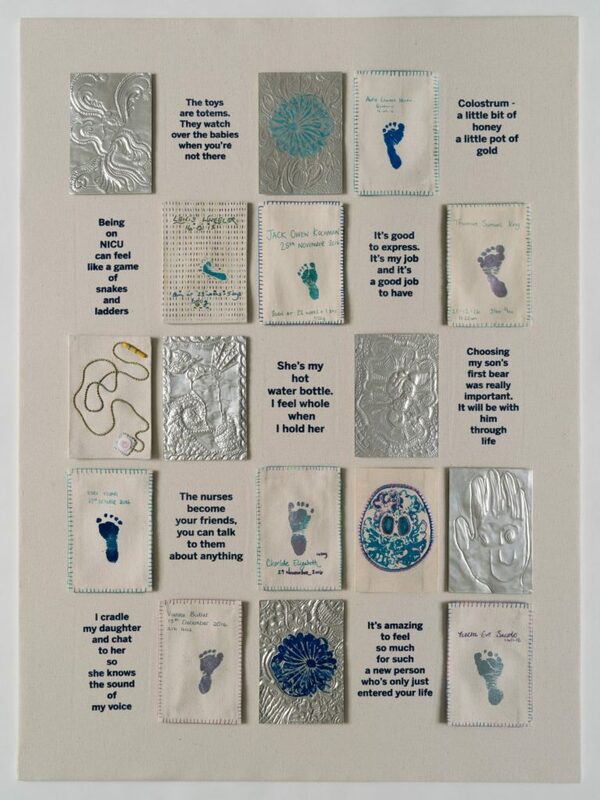 The arts have the capacity to reveal something new about our understanding of illness and our connections with each other. "It is my role to weave the web of collaborative relationships with individuals and organisations, to gather the resources and build the dialogue and organisational structures which are essential to the success of this work". 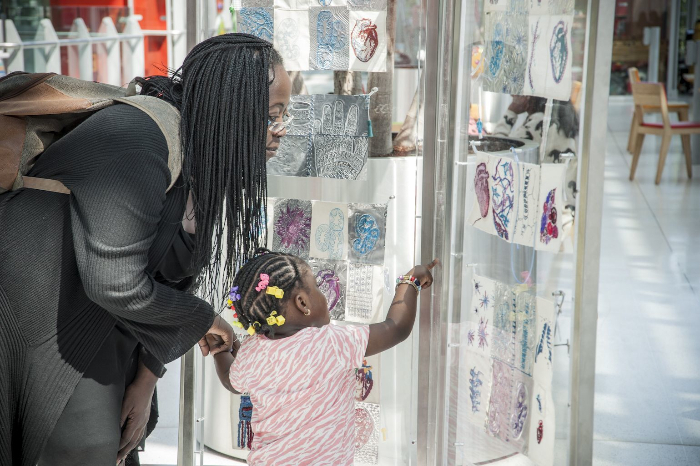 Recent arts and science public engagement projects within the NHS: with artist Sofie Layton The Heart of the Matter (2018/9) and Milk (2017/19): with artist Mark Storor: The Barometer of My Heart(2015) with St George’s Hospital, Tooting; For the Best in collaboration with Evelina Children’s Hospital and the Royal Liverpool University Hospital and schools, artists and communities in London and Liverpool presented at the Unicorn Theatre in June 2009 and in association with Unity Theatre, Liverpool in 2010; Visiting Time (2004) and Boychild (2007). 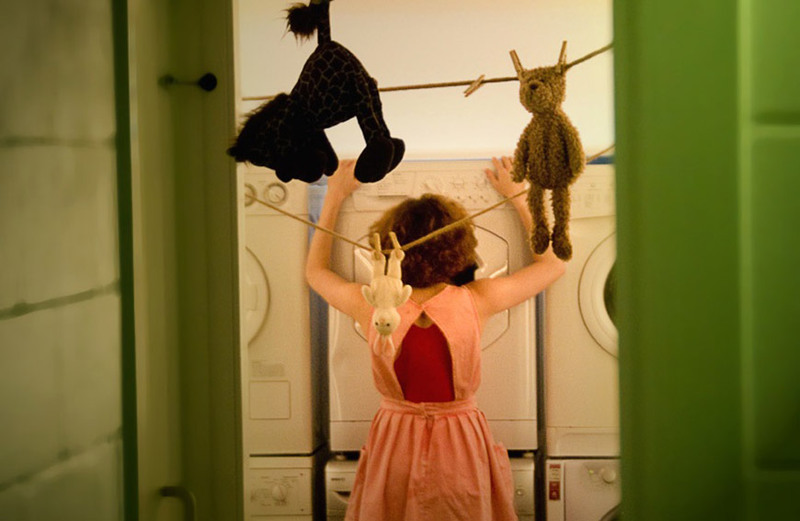 Anna was an associate of LIFT (London International Festival of Theatre) initiating a wide-ranging programme of national and international collaborative projects and professional development (1992 – 2007). Anna was advisor to Eastfeast www.eastfeast.co.uk Professional Development programme accredited by Suffolk Anglia Ruskin University (2005 – 2012). From 2004 – 2008 in association with LIFT and CapeUK. 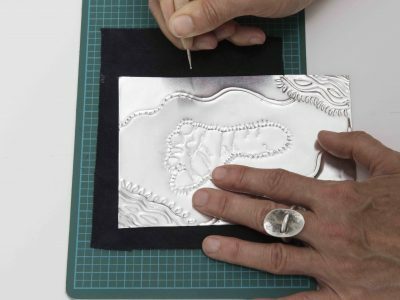 Anna led the development and validation of TAPP (Teacher Artist Partnership Programme) a research programme exploring the joint professional development of teachers with artists accredited by Institute of Education, London University. Anna was director of LIFT’s Continuing Professional Development initiative LIFT Teacher Forum (1999 – 2004) and co-ordinator of the Animarts Action Research Programme (2002 – 2003) animarts_2003_report*. Anna is a secondary School governor and trustee of the Minerva Learning Trust, Dorset. She chaired the Wellcome Trust arts panel 2011 - 2014. She is trained as an end of life Doula.